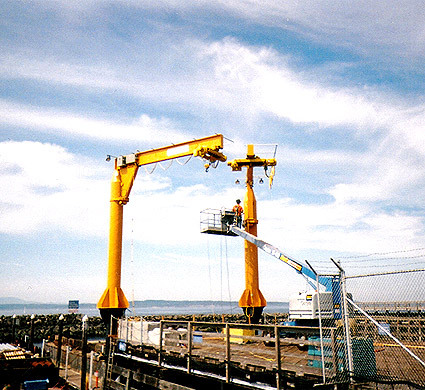 CRS Jib Cranes range in capacity from ¼ up to 5 Ton, span up to 20′ and can rotate up to 360 degrees. 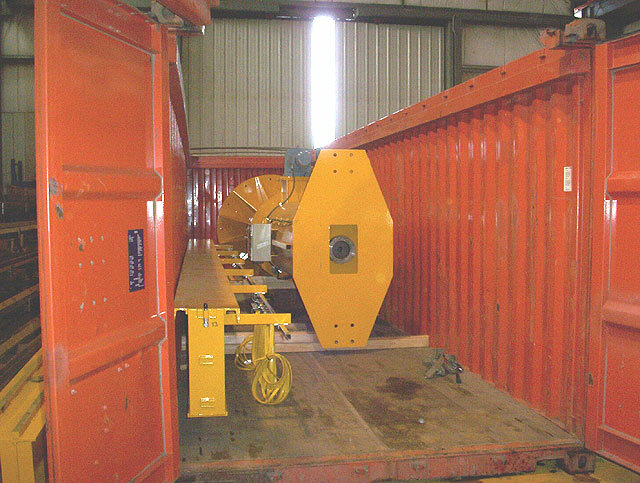 The rotation can be motorized or manually operated. 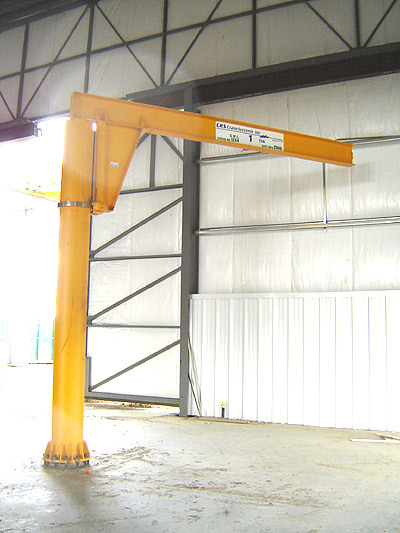 Jib cranes are generally used to service smaller workstations under an overhead bridge cranes or in applications where it is not possible or cost effective to install an overhead bridge crane. 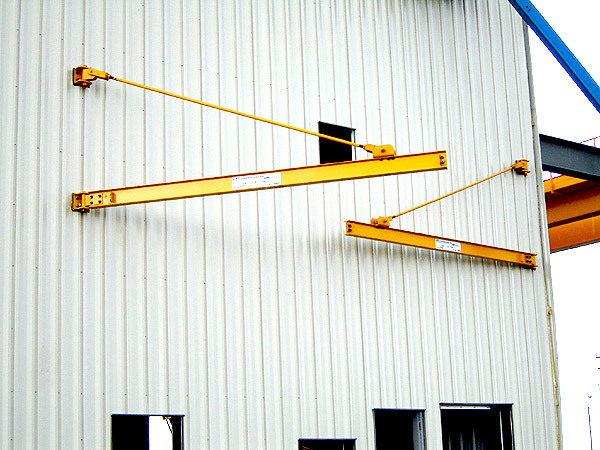 Jib cranes come in a variety of designs, see the chart below for the different types of jib cranes we can supply. 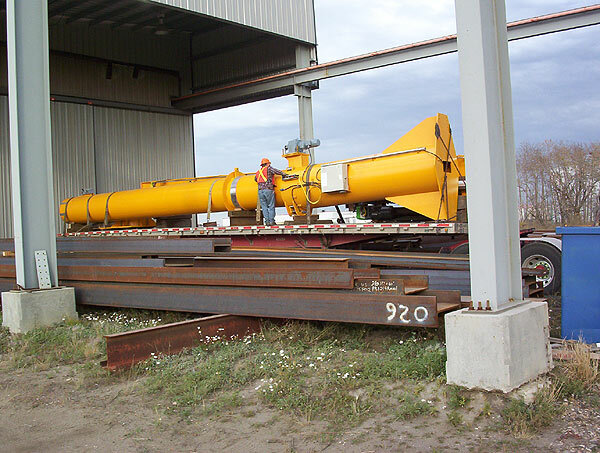 3 ton freestanding jib crane being packaged for shipment to a remote mine site in Guatemala. CRS supplied this 1 Ton Freestanding Jib crane with a custom designed base plate to maximize floor space around the base of the jib. 3 Ton Freestanding Jib Crane, 20' Mast Height, 20' Boom Length. Complete with epoxy paint and NEMA 4X stainless steel control enclosures for salt water marine environment. Two 5 Ton Freestanding Jib Crane, 24' Mast Height, 20' Boom Length. Complete with epoxy paint and NEMA 4X stainless steel control enclosures for salt water marine environment. 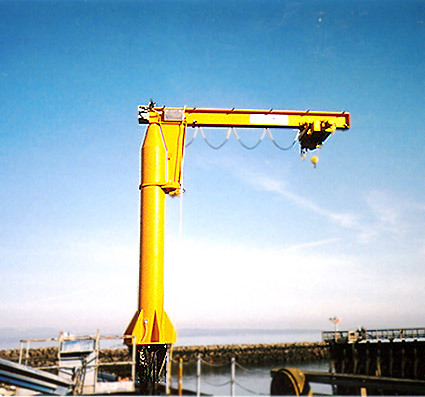 Used for lifting sailboats in and out of the water. 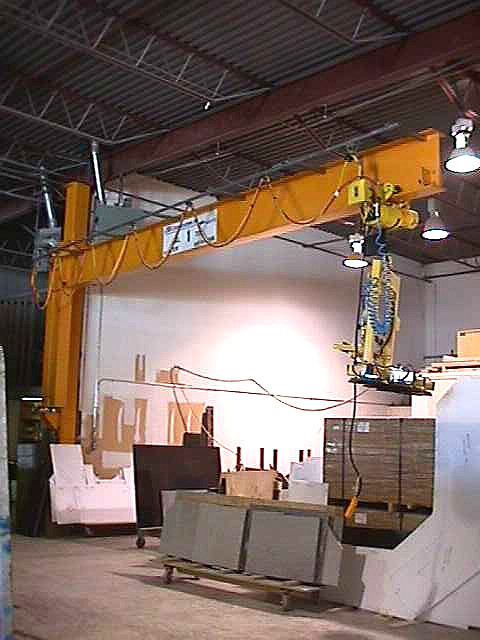 This 1 Ton wall bracket style jib crane was equipped with a vacuum lifter to handle slabs of granite. CRS supplied and installed two 1 Ton tie-rod style jib cranes for outdoor service in Edmonton, Alberta. One of two 5 ton freestanding jib cranes with 40' mast height and 40' boom length, designed for outdoor service in Northern Alberta.